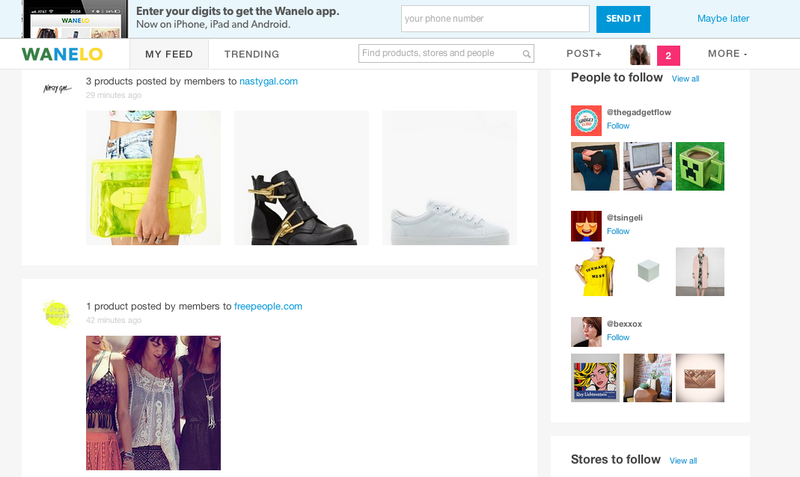 If anything on the Internet is like a mall right now, it’s social shopping site Wanelo. Call it the Pinterest for products or the Twitter for products or the whatever for products, the platform is starting to leave “X for X” territory and become its own thing like Madonna or Beyoncé. Search Twitter for Wanelo and you get stuff like this. It’s up there with “Victoria’s Secret” and “Tanning.” And today it’s trying to further its inherent stickiness with Wanelo 3.0. 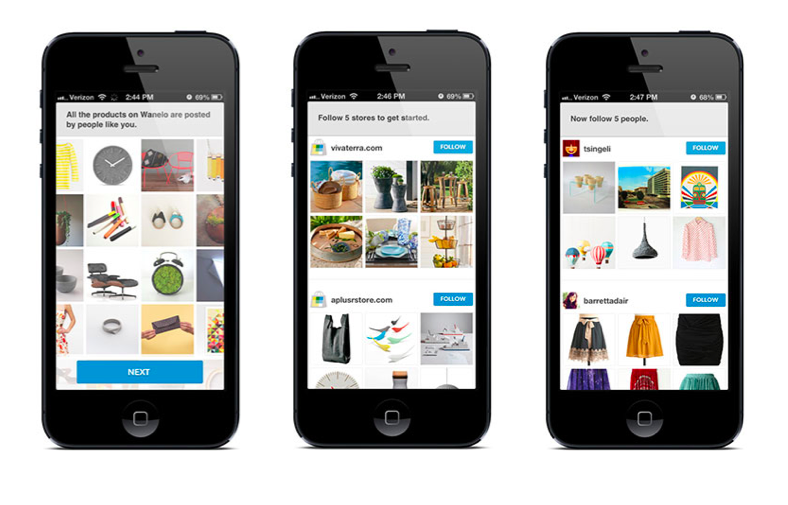 Like Pinterest, Wanelo allows you to upload and explore images uploaded by other users, saving the ones you love to collections. Unlike Pinterest, items you painstakingly save, like this Instagram monster cozy, also can be bought through a big “Buy” link on Wanelo itself, and this is what sets it apart. The company currently monetizes through affiliate revenue, but has its sights set on wider (stealthier) horizons. 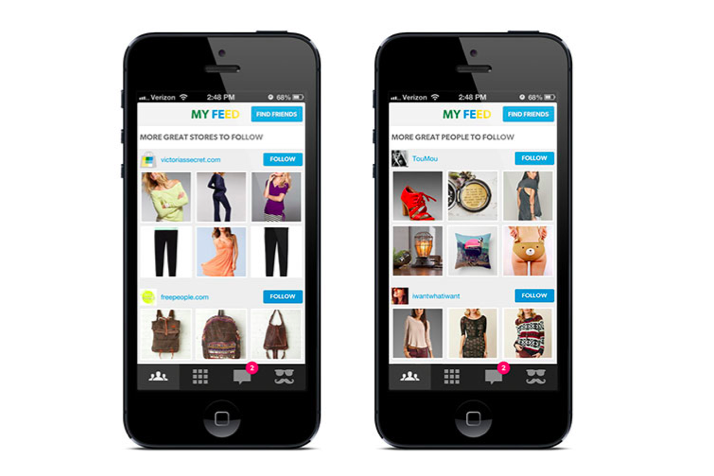 Wanelo 3.0 emphasizes the other users part of the above equation, onboarding web and iOS shoppers by directing them to follow stores like Nasty Gal and people like the site’s founder Deena Varshavskaya. Until today, users on the site and the iOS app (Sorry, Android users, you guys are SOL) discovered products mainly through the “Trending” feed and the search box simply said, “Find products.” With Wanelo 3.0, your shopping graph, i.e. aforementioned sites and people you follow, are aggregated into “My Feed” which becomes the first thing you see when you visit and the first icon in the navigation dashboard. You can now search for “Stores and People” in addition to just products. “Today’s consumers make sense of the world through the people around them and expect a social experience for every basic human need,” Varshavskaya explains the philosophy behind the new changes, “We’ve lacked one until now with Wanelo which connects stores and people in one social platform.” The prominence of the follow model could be a boon for brands like Nasty Gal, which boasts over 300k followers and 40k products on the platform. 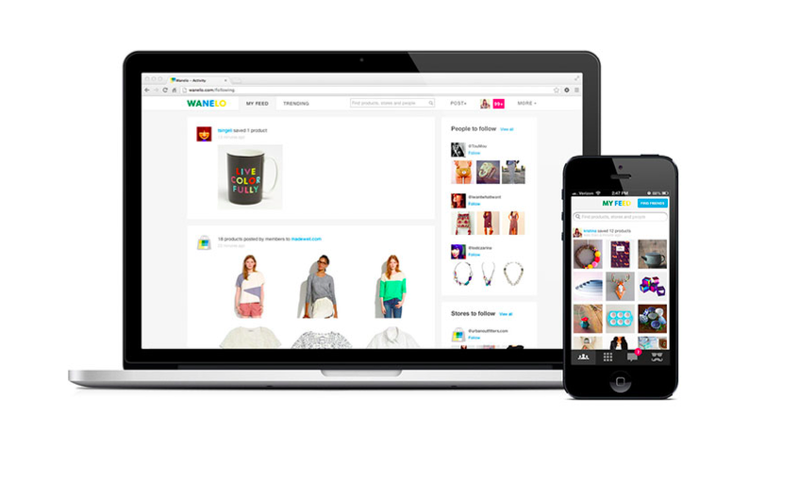 Wanelo has gone from 1 million registered users to 8 million in six months according to today’s press release, which also asserts that the startup is seeing over 5 million products saved over 8 million times a day, from over 200k stores. Users are spending an average of 50 minutes a day on the site, and, while Wanelo declined to confirm its DAU and MAU numbers, this Slideshare on its scale pegs them at 4 million monthly. It’s no small feat: Last time we checked in on more heavily funded competitor TheFancy, it had 2 million registered users and was trying all sorts of ways to make it work, like subscription commerce and giftcards. And last time we checked in on Wanelo it was rumored to have closed a hot Series A, though the company has yet to confirm specifics officially. What it did confirm, at TechCrunch Disrupt last week, was that last time it had an app update, it included a developer’s name and email in the “Details” section because it updated on his birthday. Kaan Meralan then became the recipient of an avalanche of emails from the fervent Wanelo community, including stuff like this. I can’t believe it’s your birthday! It seems like yesterday you were just a young tot bobblin’ around trying to walk…and now you’re all grown up :,) OH how the time flies! I have loved getting to know you and seeing you grow up! <3 thanks for being you, kaan. Stay true to YO SELF. Don’t be changin’ fo’ nobody, dawg. …aslo on a realistic note, thanks for workin at wanelo and stuff…cuz that site be poppin’. Watch Deena Varshavskaya tell the story, below.